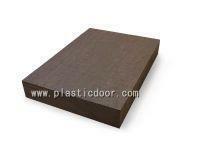 The texture plank is one of the building materials from our production line. 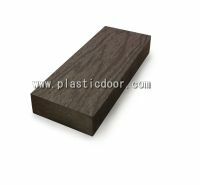 They are made from recyclable plastic material, which is available for you to achieve the goal of environment protection. Besides, this item is produced by professional production line, so they are easy to drill, cut, trim or any action for your building purpose. With the advantage of weather enduring and anti-decay, they are suitable for outdoor furniture, signs or walkway. Just contact us now for more information today!